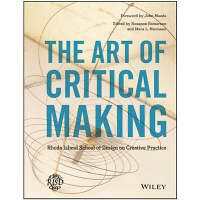 “Thingking is a practice that looks inward and outward and reflects on the effects of making on the maker, user and system” Combining the work of thinking and making supports an iterative creative process and active engagement. We like this concept. It feels natural. It just makes sense to us. Drawing is the “process of discovery and invention–not craft.” It’s generative ideation. “The goal of drawing is to learn something.” There’s a profound difference between drafting the user interface and drawing the user interface experience. Our team vowed to embrace an awareness of drawing as a means of discovery and invention. The take-away was that the act of doing is a powerful tool to evoke new ideas and connections. We even kept sketchbooks and shared them–which provided new insight into the wonderful world of ideas, experiences and approaches hiding in the heads of our colleagues. How is technology changing human perception, behavior and activity? We talked about the proliferation of things. We talked about the tech-focused, fast- paced trajectory of the world. Are we shaping technology or is technology shaping us? We philosophized about diminishing personal connection in an increasingly connected society and the importance of reestablishing a connection to nature. How do we get out of the digital mental model? Our discussions moved to an inquiry about how to build an awareness of human experience and learning. How do we make digital systems intuitive? Much of the discussion referenced patterns of human cognition and understanding from other design disciplines. There is a rich history of design practice and this book reminds us to draw on that shared knowledge. What is the connection between materiality and the physical human experience. This book was esoteric for some and academic for others, but thought-provoking for all. We still find ourselves thingking about it.